Amazing Grace DB++ (Gracie) is a two time National Champion as well as the winner of 4 Top Tens, multiple Regional titles, and countless wins at the local level. Has earned her Legion of Merit and only a few points away from her Legion of Supreme Honor. 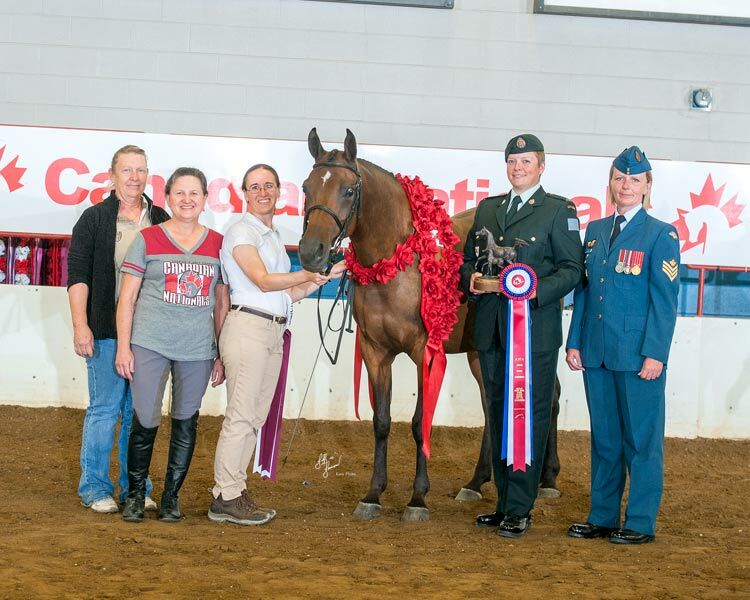 Gracie has shown extensively in sport horse and could easily step into the dressage ring (classic or western). Though she has no formal training over fences, she has free jumped and schooled 2 ft. as part of her conditioning. 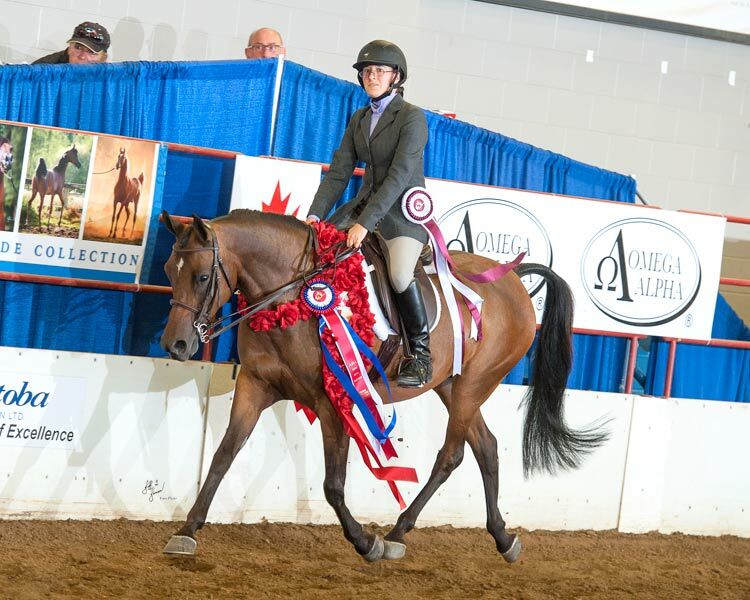 Gracie is not a beginner’s horse, but would be an excellent mount for an amateur or experienced youth rider. Super amateur friendly! She has been trained and shown exclusively by her amateur owner. Gracie knows her job and is a relatively uncomplicated ride, but has plenty of drive and energy. Gracie is pony sized, but rides like a much bigger horse. 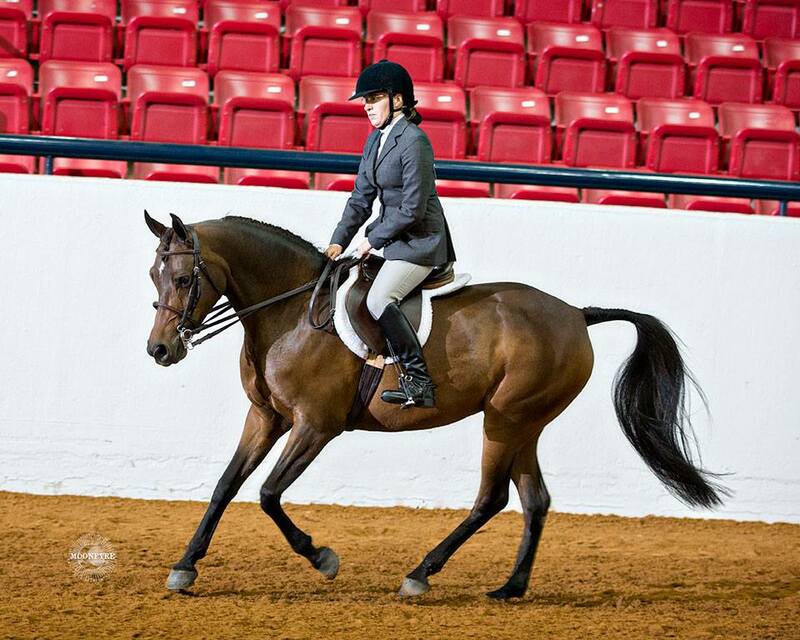 She’s never had any trouble being seen in the show ring and with her solid build she takes up a lot of the rider’s leg. No need to lunge! Shows well cold if needed. Hauled all over the US and Canada. Stands quietly for the farrier. Allows face and ears to be clipped without a halter. Loves baths! Barefoot over 90% of the time. Gracie also has great potential as a broodmare, herself a champion and her pedigree tracing back to greats such as Bey Shah+ and *Aladdinn. Show or breeding home only. Excellent home a must! $10,000. Offers considered.